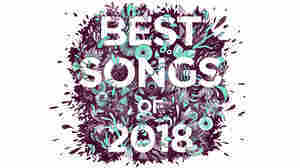 January 31, 2018  This time around, the band has teamed up with Greg Kurstin, who's fresh off of a repeat win for producer of the year at the Grammys for his work with the Foo Fighters, Beck, Adele and Sia. March 23, 2016  The Scottish electro-pop trio stripped down at Austin's Radio Day Stage showcase for a few songs, including "Leave A Trace" and "Never Ending Circles." March 18, 2016  Jack Garratt, The Heavy and Hinds also performed at the showcase, curated by public radio stations. September 20, 2015  The Scottish pop band has fun on Every Open Eye, but its disco ball is tiled with galvanized steel. The whole album fizzes with jolting, unapologetic electricity. 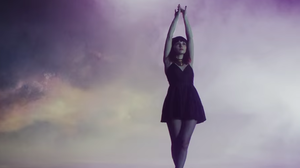 August 17, 2015  Hyperwatchable frontwoman Lauren Mayberry anchors a flashy, dreamy new video from the Scottish synth-pop trio. July 16, 2015  The Glasgow synth-pop band explores candid emotional territory on its latest single, from the upcoming sophomore full-length Every Open Eye. September 15, 2013  The Glaswegians' debut showcases a band that bridges styles and eras on the strength of its own charisma. 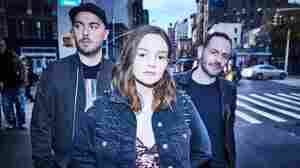 Though it can be ominous, even aggressive, Chvrches' electro-pop songs maintain a disarming fizziness. September 24, 2013  The Scottish synth-pop trio just released its heavily hyped debut album, The Bones of What You Believe. Watch the group perform a stripped-down version of the record's most rousing anthem, "Recover." 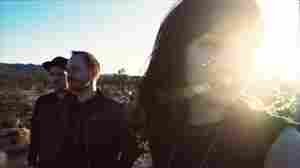 March 21, 2013  Chvrches' bass-heavy pop sounds will be the soundtrack to many barbecues this summer. In the meantime, the Glaswegian trio got the crowd dancing at SXSW 2013. Watch them perform "The Mother We Share."